Pairing batteries with EV charging stations can help to align sustainable transport and energy needs for the future. 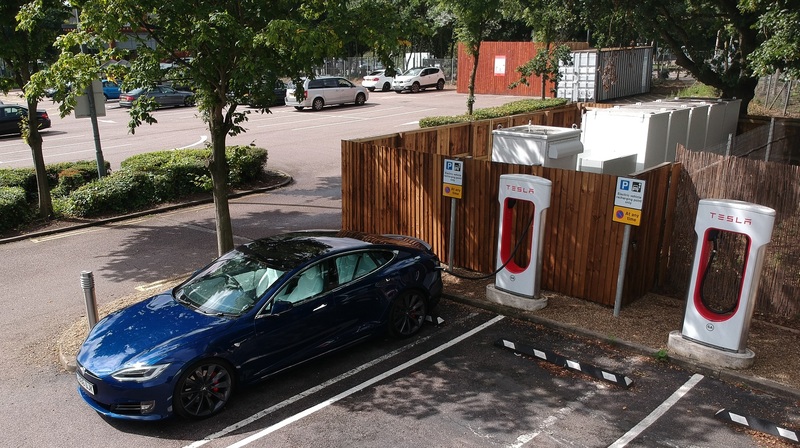 At South Mimms Welcome Break Motorway Services, we have installed a 250kW/500kWh Powerpack alongside one of Tesla’s largest and busiest UK charging locations. 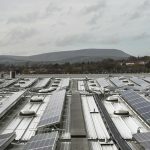 The Supercharger site can charge up to 12 cars at one time, and since popular charging periods often coincide with peak periods of grid demand – between 4pm and 7pm, when electricity prices are at their highest – flexible solutions are needed to ease the strain on local grids and control electricity costs. Integrating a Powerpack at the location has meant that during peak periods, vehicles can charge from Powerpack instead of drawing power from the grid. Throughout the remainder of the day, the Powerpack system charges from and discharges to the grid, providing a Firm Frequency Response (FFR) service to National Grid and earning revenue for balancing grid electricity supply and demand on a second-by-second basis. Open Energi own and operate the Powerpack, which is part of our portfolio of assets that help maintain the frequency of the grid. Combining batteries and electric vehicles makes vehicle charging part of the solution to integrating more renewables without affecting drivers, unlocking vital flexibility to help build a smarter, more sustainable system. The project at South Mimms Welcome Break Motorway Services provides a blueprint for the development of electric vehicle charging infrastructure globally. 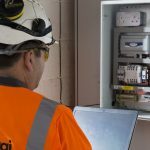 Moreover, by reducing National Grid’s reliance on fossil fuelled power stations as a means of balancing electricity supply and demand, the Powerpack helps to reduce UK CO2 emissions by approximately 1,138 tonnes per year.